Safe-Lab Thermometer Joint Adapter 19/22 F20309-1710 (Lot of 7) . New Life Scientific, Inc. These are new PTFE adapters that were originally acquired from a US pharmaceuticals lab. Retail price $73 each --Buy now and save 50%. 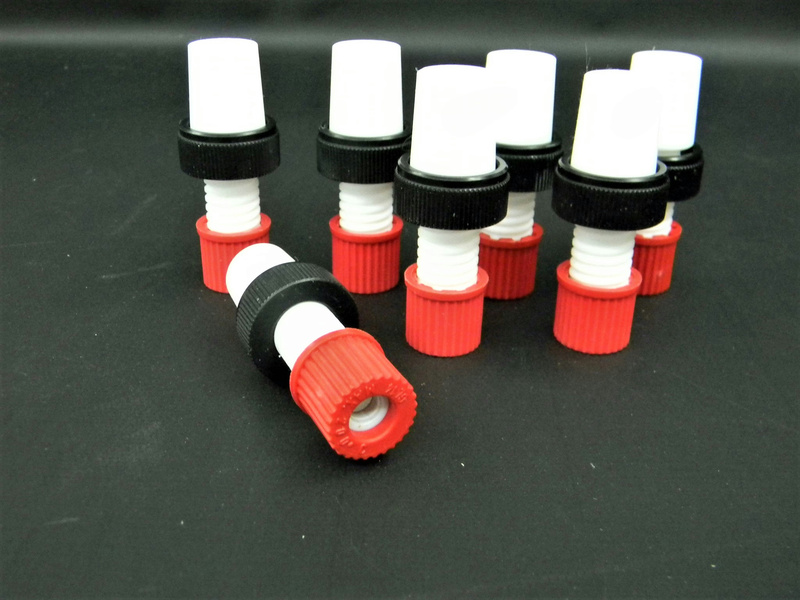 Description: PTFE body has a GL-14 threaded polypropylene screw cap, adapter fits 19/22 flask.